This year the FTC redefined broadband as a minimum of 3 Mbps upload speed. That 25/3 standard replaces the previous 4/1 standard, in order to reflect today’s heavier data transfers. This means current DSL plans may no longer be called broadband. But the other side of that equation is the cost in time and money. According to a 2014 survey by the Pew Research Center, a whopping 94 percent of jobholders are Internet users. And of those, the majority (54 percent) say the Internet is important to doing their jobs — more important even than their phones. We’ve all spent time waiting for pages to load, and time is money. If you or your employees spend half of each day online doing research, accessing systems or dealing with customers and vendors, that amounts to 4 hours per day. If 5 percent of that time is wasted due to slowness, over a year’s time that’s 50 hours per employee. If 10 percent is wasted, it’s 100 hours per year per employee. Add it up and it could be many thousands of dollars lost. One estimate (PDF) from the World Health Organization suggests that stress costs American businesses $300 billion annually. Why add to your own or your employees’ stress level with a tediously slow Internet connection? For that matter, why add to your customers’ stress? The last thing a customer wants when he calls your company is to sit there frustrated, waiting for a resolution to his problem, while you explain that your computer is slow today. In fact, a white paper from Integra says, “45% of organizations cite bandwidth requirements as a barrier to cloud adoption.” By now you know the solution to that problem. Consider Voice over Internet Protocol (VoIP), a technology that lets you make phone calls using the internet, for much less than analog lines. Grant Thornton Inc. saved $800,000 the first year it used a VoIP setup. The company has 2,800 employees nationwide, so the savings may be more modest for your own business. You might also save money by moving some employees to home offices. Granted, you won’t duplicate Aetna’s $78 million annual savings from using home workers, but you might avoid the need to move into bigger, more expensive space as your company grows. Of course, you’ll need a broadband connection for employees to use a remote access system. Okay, you might agree that high speed internet could improve your business in at least one or two of these ways, and maybe all of them, but what’s the cost? It’s minimal compared to the potential benefits. Some small business owners use a personal broadband connection rather than one designated as a business plan. You can get a 50Mbps plan for well under $100 per month. 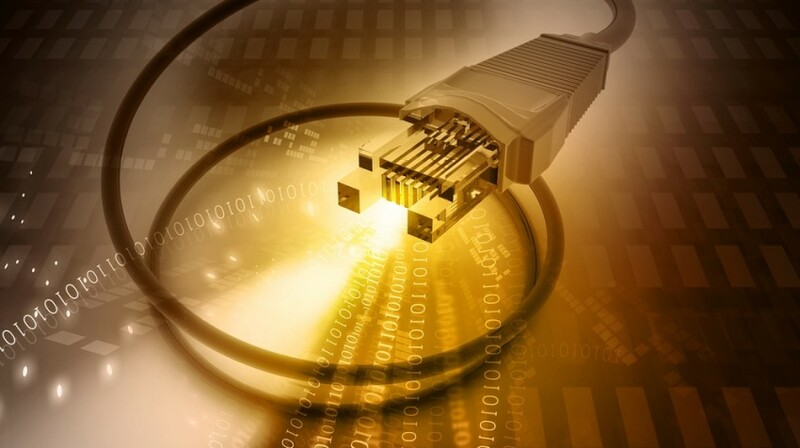 Benefits of higher bandwidths for small businesses are substantial. How can your business benefit from one or more of our recommendations?